Green iguanas are prevalent in many islands of the Caribbean. Their presence has made them both a nuisance and a delicacy. 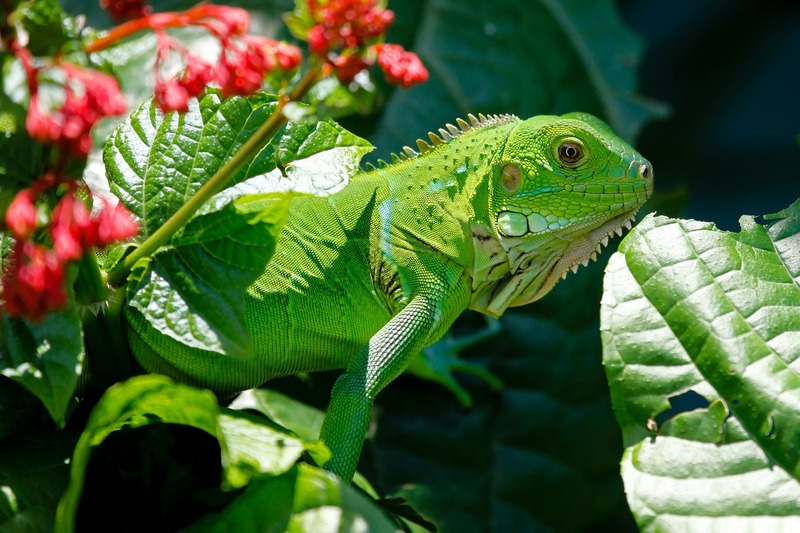 In some islands like Puerto Rico and the Cayman Islands, the invasive iguanas are responsible for consuming many farmers’ crops. While in other islands, many have discovered a creative, unique solution to tackle the large population of green iguanas: selling and eating iguana meat. In countries across Central + South America and in islands like Trinidad & Tobago, iguanas are a part of the diet for some, where it can be stewed, roasted, or curried (in October 1, 2013, however, Trinidad & Tobago enacted a two-year hunting ban). The meat is described as lean and high in protein, and is a staple in many restaurants across the Caribbean region, as well as the United States. In the United States, iguana meat must be processed in an FDA-approved facility in order to be legally sold. National Geographic recently released this video detailing the invasion of the green iguanas in Puerto Rico and ways in which they are hunted, prepared, cooked, + eaten.